I am Matthew Hale’s mother. Does anyone care that our corrupt justice system (Federal court system) in this case and the government (FBI) has locked away an innocent man for 40 years because he stood for and believed in the First Amendment, (freedom of speech) without any evidence? Matt was tried and convicted in federal court in Hammond, Indiana in 2005 for having solicited the murder of Chicago Federal Judge Joan Lefkow. James T. Moody was the judge in the trial. No evidence was ever presented during the trial that Matt ever asked anyone to commit murder. Matt is an innocent man that has suffered at the hands of our corrupt government, the FBI and our corrupt justice system. The government had Tony Evola, a government informant which they paid $75,000 of our tax money to tape conversations with Matt over a 2-year period to attempt to get evidence that they could use to put Matt away. On these tapes, never once did Matt ever ask this informant to kill anybody. Matt refused Evola several times on the tapes. In fact, Evola was confused as to who the government wanted Matt to ask him to kill. He thought the target was a man. When the government (FBI) realized that Evola thought the target was a man, they had him send Matt an email referring to the target as being “femala,” (the word Evola used for female) (Evola is mentally challenged) to further their plan to charge Matt. Matt arrived at the courthouse in Chicago to go before Judge Joan Lefkow regarding a trademark case and he was arrested. Judge Lefkow had ruled in Matt’s favor in the trademark case and a higher court had ordered her to reverse her decision and Matt was there to appeal that ruling. He had no animosity towards Judge Lefkow. He never wanted her killed. He was there to appeal her ruling she had reversed. A higher court had ordered her to reverse her decision. Matt was not present for the entire jury selection even though he never waived that right. His attorney made that decision without asking Matt. Matt was only present for 52%. The law is that he had the right to be present for the entire jury selection. When Evola testified in the trial, because nothing on the tapes revealed Matt asking Evola to kill the judge, Evola testified that he asked Matt if he wanted him (Evola) to kill the judge and that Matt nodded. Matt went to law school to become an attorney and work to make legal change in the government and our court system. Recently, Matt discovered that the jury foreman had testified in another unrelated case that he had disobeyed the judges order not to read anything about Matt and the case or listen to the media. After being accepted as one of the jurors, he went home and did in fact follow the media coverage about Matt and the case disobeying the judges order. He had run home and removed a note on his door saying that he was going to be a juror on Matt Hale’s trial because he was afraid one of Matt’s supporters might harm him or his partner. Matt’s attorney had a list of over 100 witnesses and never called one to testify. When Matt told his attorney that he wanted to testify, his attorney told Matt that he wasn’t prepared to do that. Judge James T. Moody allowed another man’s crime into Matt’s trial. It was very obvious that the judge was prejudiced against Matt as was the prosecutor. Matt’s attorney Thomas Durkin of Chicago told the jury they should find Matt guilty on moral charges. He told the jury how disgusting Matt was in so many words. The trial was tainted and prejudiced, the jury foreman who was homosexual, feared Matt supporters. He went into the jury room ready to find Matt guilty before hearing any evidence (there was no evidence). The judge sentenced Matt using the sentencing guidelines used to sentence a terrorist. Matt isn’t a terrorist. He gave Matt a 40-year sentence. 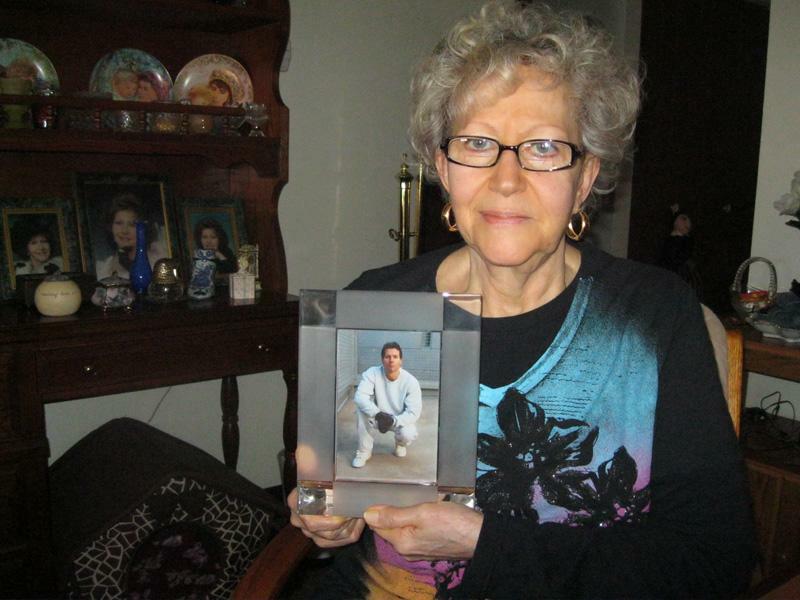 Matt has been in solitary confinement at Florence Supermax prison for over 12 years for a crime he never committed. He is innocent of any crime and Judge Moody, the prosecutor and the government know it. Matt is a political prisoner. Matt has asked repeatedly to have a polygraph to prove his innocence and has been refused. Recently, he sent David Bindi, the prosecutor that has taken the place of David Weisman, the prosecutor that prosecuted Matt, a letter asking for a polygraph and was refused again. They know that a polygraph would prove Matt innocent. For all the reasons given above, Matt is entitled to a new trial. Everything I have said in the above statements are true. I challenged anyone to read the trial transcript and find any untruths in any statement in the above factual accounts of the trial.